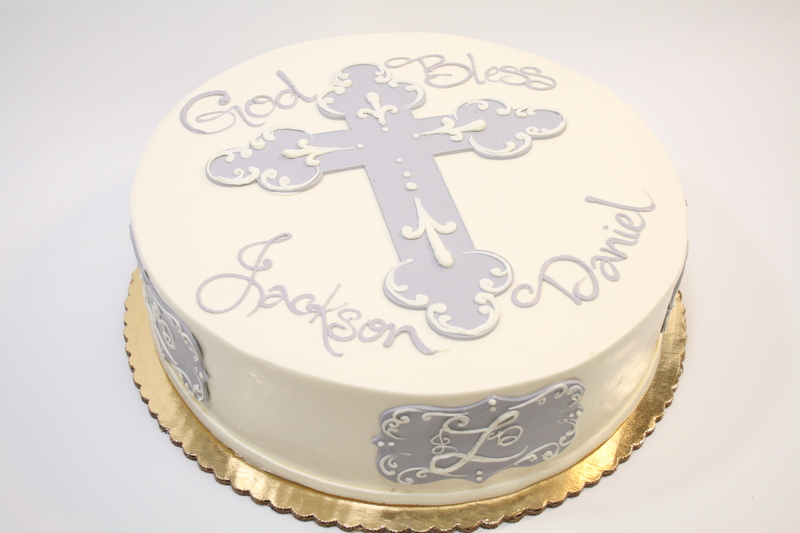 This design features a large rolled chocolate cross in the center and monogram plaques around the side. 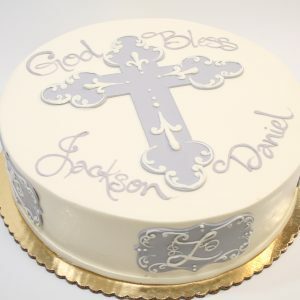 Includes customer’s choice of one pastel color rolled chocolate, detailed with white design work and initials. Shown as a 12″ frosted in vanilla buttercream with light grey rolled chocolate. Limited flavors & sizes order by Wednesday for the weekend..